RAK Terry Fox Run for Cancer Research was held on Friday, 22nd February 2019. It was conducted under the patronage of the ruler of Ras Al Khaimah. It was a charity run and money raised would be for Terry Fox funded cancer research projects. The students of IPHS contributed AED 8500/- for this Nobel cause. Each class contributed as IPHS always instills the values of giving and bring joy to others. Some students and teachers participated in the run. Department of Islamic Education conducted an activity related to International Hijab Day on 7th February 2019. Girls of classes V to VIII were gathered in the school ground. They carried placards highlighting the importance of Hijab Day. Ms. Farzana Hussain of class VIII D delivered a speech highlighting the importance of wearing Hijab. Class VII D students presented a skit based on the importance of wearing Hijab. Since Hijab is a part of Islamic way of dressing, a few students demonstrated how to wear Hijab. This was an encouragement for the girls to wear and follow the Islamic code of dressing. The activity was enjoyed by the girls and showcased their modesty. IPHS organised a Vaccination Programme for class I students on 29th January 2019. The DTap vaccination and Oral Polio were administered to them. Doctor along with nurses, vaccinated the students. A camp was organized for the scouts of IPHS on 26th of January 2019. 22 scouts participated enthusiastically in the activities organized for them. The activities kindled the spirit of the boys to participate whole heartedly. In the morning they decorated the school premises with Indian flags and other materials. They took an initiative in conducting the flag hoisting ceremony. Various games were organized to foster team spirit and coordination. It was a novel experience to the students as they donned the chef’s hat by preparing a delicious and sumptuous meal! The scouts also volunteered to clean the area of the park which they used for the camp. The scouts registered a positive feedback about the camp as it turned out to be an awesome experience for them provided scope for a much memorable bonhomie! IPHS conducted special assembly on 27th January 2019 on the occasion of 70th Republic Day of India. Classes VIII C & D conducted the assembly. Miss. Farzana Hussain gave an enlightening speech on the importance of the day. Principal Mrs. Anubha Nijhawan addressed IPHS emphasising on our glorious national heritage. Mr. Anil Kizhoot from the English department gave an extract from the President’s Speech.An emotional patriotic song was presented by Middle section to play tribute to the valiant soldiers who have sacrificed their lives for the protection of the country and the welfare of the people. The certificates given for the students participated in the Republic Day Celebration held at Dubai Consulate. The winners of Indian National Anthem were awarded with certificates. IPHS conducted Indian National Anthem Competition on 20th January 2019. Keeping in view of 70th Republic Day, the students of classes I-VIII participated in the competition. They were judged on the basis of Presentation, Timing, Pronunciation and the Rhythm. 37 groups of 8 members representing their classes displayed their talent as well as their respect for the National Anthem. This helped them to instill a sense of patriotism among them. It also made them aware of their rich National Heritage on which they can be proud of. All the teams proved to coordinate each other and showed high level of confidence. An evening camp was organized for the Guides of IPHS on 13th December 2018 after the school hours, at the school premises. The Guides Incharge teachers, Mrs. Lavannya Praveen and Mrs. Anitha Anish led the camp. Around 30 guides attended the camp. After the sumptuous lunch provided by the school, guides attended an awareness class on FIRST AID and COMMUNICATION AND PERSONALITY DEVELOPMENT. Guides performed skits based on social issues also. Towards the end, guides played many games and took part in Treasure Hunt enthusiastically. Children went back happily with lots of memories. IPHS, RAK enthusiastically celebrated its 33rd Annual Award and Graduation Ceremony on Friday, 7th December 2018. Mr. S.R Velanand, Director Institutional Development, Core Educational Education, FZ LLC, RAK was the chief guest of the day. The chief guest gave the Presidential address which was followed by the keynote address by Guest speaker, Dr. Indranil Bose, Dean of Business, University of Bolton, RAK. The head boy of the school, gave a welcome note to one and all. School report was presented by the school Principal Mrs. Anubha Nijhawan. Graduation ceremony was the main highlight of the day. The head girl of the school later gave the vote of thanks. After the prize distribution, overall championship Trophy for the Academic Performance (2017-18) was presented. Prithvi House emerged as the overall winner. Cultural Programmes added more colours to the programme. The students enthralled the audience with their mesmerizing performance. In the presence of Ministry leaders and employees, the Ministry of Education celebrated the 47th National Day with art and heritage paintings extolling the nation and its people on 28th November 2018. Huge number of students from various school participated and prepared traditional art paintings depicting the values of UAE heritage. The celebrations organized by the Ministry reinforce the values of belonging and love of the nation, where students prepared a painting that embodies the concept of patriotism and pride in the National Day as a glorious memory, honoring the State’s accomplishments in all sectors. 8 students of class 6th, 7th and 8th along escorted by teacher Mrs. Eman Ibrahim took part in this even and expressed their idea of Love towards the country with colorful paintings. On 26th November 2018, Wednesday BEIT AL KHAIR SOCIETY had organized 47th UAE National day programme at HILTON Hotel, RAK. The event at BEIT AL KHAIR SOCIETY was graced by H.H Sheikh Salam Bin Sultan Bins Saqr Al Qassimi and Juma Majid. Girls of class V to VIII enthralled the attendees by putting up a fusion dance depicting Indian and Arabic culture. It was an impressive performance for which IPHS was presented a certificate of appreciation by the guest of honour. At Higher College of Technology Men’s Campus on 27th November 2018 IPHS Boys put up an Arabic Dance enthralling the attendees. The 47th UAE National Day was celebrated with great zeal and ardour on 27th November 2018. The school campus was decorated with flags and other decorative items. A special assembly was conducted on this occasion. The assembly started with a recital from Holy Quran followed by the UAE flag hoisting. The principal Mrs. Anubha Nijhawan wished everyone on the occasion of National day. She also elaborated about the significance of the great day. The students expressed their love for the nation through a cultural show. It was based on the rich art, culture and traditions of UAE. Guides were honoured with badges on this special day. The students dressed in traditional attires presented dances, songs and poems. The celebrations filled everyone with pride. 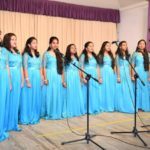 UAE National Anthem Competition 2018 was held on 15th November 2018 for classes I to VI and 25th November 2018 for classes VII to IX and XI. The competition was conducted on account of 47th UAE National Day Celebration. The teams consisted of 8 members from each category. The students participated enthusiastically and the Judges were Mr. Jamsheer, Mrs. Eman Ibrahim of Arabic Department and Parent Council Chairperson Mrs. Veena Santhosh. The winners of UAE National Anthem Competition were awarded with prizes and certificates which were sponsored by Al Munna Book Shop and IPHS. It was indeed another great celebration day for IPHS. IPHS celebrated its 33rd Annual Sports Day on 22nd November 2018. This event took place in Sheikh Khalifa Bin Zayed Stadium, RAK. The chief guest for the event was Dr. Abrar Ahamed, Assistant Professor, Department of Engineering, BITS, RAK. The leaders of all four houses namely Pawan, Prithvi, Varun and Agni and Scouts & Guides led their groups. Guard of honour was given to the chief guest. The Principal Mrs. Anubha Nijhawan gave a welcome speech. The Chairman Mr. Reji Skaria also graced the occasion. The chief guest declared the Sports meet open. The Sports Secretary administered the oath. Aerobics and Karate showed the vigour and exuberance of the students. It was a feast for the eyes to see the children performing aerobics and mass drill. There were track events, relay races for boys and girls. The competitive spirit of the athletes was emulating. Games were organized for parents as well as teachers. Winners were awarded trophies and certificates. Athletics Championship was bagged by Varun House. The Annual Sports day culminated with a happy note with a hope to meet again. In its second year, the Dubai Fitness Challenge — or Dubai 30×30 geared towards making the city the most active in the world and aimed at improving the health and fitness of its residents. Dubai Fitness Challenge (DFC) returned to transform the RAK city into the most active in a month long calendar of exciting events 26th October to 24th November 2018. DFC not only motivated residents and students but was committed towards spreading the awareness on living a healthier, active lifestyle. On 15th November 2018, selected students of IPHS participated in this march of fitness awareness. Mrs. Beena Thomas and Mr. Jamsheer lead the students in activity. The National Bullying Prevention Week, a campaign, under the patronage of H.H Sheikha Fatima Bint Mubarak, Mother of the Nation was observed at IPHS under the guidance and supervision of the internal committee at school which comprises of the Chairman, Mr. Reji Skaria, the Principal, Mrs. Anubha Nijhawan, the senior leadership team and our social worker; to raise awareness on the issue of bullying and the harmful effect it can have on its victims, as well as the different ways in which people from all corners of society can confront and deal with the issue and it offered a vital opportunity for the subject to be raised once more in the IPHS environment. At IPHS the whole school joined hands to create an awareness and enhance the IPHS principles of being a Safe School at all times. The National Anti-Bullying Awareness Week was observed with great enthusiasm and reverence the whole school coming together as anti-bullying warriors to safeguard each of its member from the evils of bullying today and in the future. Activities were conducted in phases with relevance to age. KG 1 –Anti-Bullying Logo colouring. 1. Awareness Workshop on anti-bullying. Ms. Kamini Sodhi Class teacher of grade 2 A recited a poem during assembly. 3 6-8 In class, discussion on How famous personalities were bullied in school and how they overcame it. 14 6-8 Write up on Chart titled Bullying is bad because………. Whole School Community Initiative (Parents, Staff & Students) Participation in Online Anti- Bullying Survey. IPHS, on Wednesday, 14th November 2018 i.e. on the Children’s Day organized the ‘Food Fest’ for its beloved students. The event was inaugurated by Mrs. Veena Santhosh, Parent Council Chairperson. Students of Middle and Senior section had put up a very colorful and entertaining program. It was a real ‘FUN FEST’ for the students as well as for the staff. IPHS Happiness Counter was the main attraction of the day. Children enjoyed buying things of their interest from the counter. Toys, pens, pencils, crayons, ornaments, etc. were the few of the things that were available for sale. Another major attraction of the ‘Food Fest’ was certainly there large variety of scrumptious cuisines from different cultures. It was indeed a successful event with the cooperation of all IPHS Staff and students. IPHS always gives importance to health of its students. Keeping this in view, a Vaccination Programme was carried on for class I students on 22nd October 2018 and 28th October 2018. The MMR and Varicella vaccines were administered to Class I students. On 11th November 2018 DT Adult vaccine was given for class XI students. Doctor along with nurses, vaccinated the students. IPHS organised Cultural Competitions for the students of I to XII on 3rd November 2018. This event was a kaleidoscope of music and dance. In Fancy Dress Competition the students thrilled the audience and judges with their attires and performance. The participants dressed up in unusual costumes and presented themselves on the stage. Impressive dance forms Bharatnatyam, Mohiniyattam and Folk Dances added colour to the cultural evening. The performances were alluring and fascinating. The selection of songs and costumes were marvellous. The performers gave mesmerising performances. It became a festival for all the participants. IPHS celebrated UAE National Flag day on 1st November 2018. It was so colourful as all the students & teachers wore the dresses of UAE Flag colour code. The school building and the corridors were immersed in the colours of flag to celebrate the occasion. On this day special assembly was conducted by the students of classes V to XII. All the house leaders and class prefects were holding UAE Flag. All the students swayed the flag by saying the slogan “RAISE IT HIGH, RAISE IT PROUD”. The National Flag, the symbol of Union, dignity and pride was hoisted at 11:00 A.M by the head boy and head girl of the school. The students as well as the teachers saluted the flag to express loyalty to the prudent leadership and glorification of the country’s national symbol. 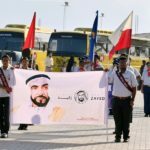 It was followed by students rally holding UAE Flag from school ground to AL HABOOS ARTS AND FOLK SOCIETY. The students of middle section visited MOE, RAK where they got an opportunity to witness and be the part of the flag hoisting ceremony. There was a display of middle section creative UAE Flag models. Primary section also took part in the event by organizing a small rally in the school premises and they even brought UAE FLAG colour breakfast. The students of IPHS showed their talent in the final round of Poem Recitation and recited poems in a distinctive manner. They were given an opportunity through ‘Recitation Competition‘ which was held for classes III to XII on 13th October, 2018. The finalists were selected in preliminary rounds which were conducted for classes I to X. The Language teachers judged them for final round on the basis of content, presentation, pronunciation and clarity. The students selected poems composed by great poets and recited them in effective manner. Classes XI and XII also participated and impressed the judges with the selection and presentation of their poems. Light Music Competition was conducted for classes III to XII on 13th October, 2018. The prodigies of melody presented songs in Hindi and Malayalam. They sung devotional, patriotic and regional songs. The mellifluous songs sung by the students mesmerised everyone. Mono Act Competition was conducted for classes III to XII on 13th October, 2018. Many students participated enthusiastically. The students performed different characters. Each character was expressed effectively. Expressions and dialogues added colour to the performance. Their acting thrilled everyone. The participants were judged on the basis of expression, voice modulation and confidence. IPHS conducted a Mock Fire Drill on Monday, 1st October 2018 to acquaint the students about the emergency exits and care to be taken in case of a fire break-out in the school premises. The time taken for the evacuation was 03 minutes 08 seconds. This was the first time that the 3rd and 4th Emergency Assembly Points were marked to be outside the school. All students from KG-XII were made to be a part in the evacuation process which was successfully completed within the prescribed time limit. It was conducted smoothly wherein the teachers in-charge took the head count of the students and the same was ensured to be matching with the day’s student and staff attendance. The IPHS staff worked as a team for conducting the evacuation drill. IPHS in association with Cambridge Center (Consulting and Training of Family)-RAK, conducted a workshop for the Parents of SEND students, on 25th September 2018. The objective was to introduce the in-house services of Cambridge Center for the well-being of the students and their personalized care. Dr. Mardy E. Dixon, Psychologist from the center led the session. He introduced the center’s aims and objectives along with his team, to the parents. The team comprises of therapists who practice different therapies such as occupational therapy, behavioral management therapy, ABA therapy etc. He assured 100% quality orientated service within the school premises. It was an eye opener and relief to the parents who had been travelling with their children to Sharjah and Dubai for the same. A token from the IPHS Family to extend solidarity to our brethren in Kerala under the ‘Caring Hearts, Helping Hands’ campaign conducted in support. Towards meeting the National Agenda expectation Mathematics Department initiated in formulating /collecting various skill based ‘Questions and Practice Questions’ of ASSET, PISA & Olympiad Examinations. The ‘Booster Book’ was released by the Chairman Mr. Reji Skaria in the presence of Principal Mrs. Anubha Nijhawan, Vice Principal / HOD of Mathematics Department Dr. Annamma Mathew and all the teachers of Mathematics Department. The Booster Book was formulated for classes I-X which was distributed to every child of respective classes thereafter for solving and practicing. The students of IPHS were enthralled to participate in the celebration, in connection with the 88th National Day of Saudi Arabia in the school premises on 24th November. The students used showcased their creativity in making posters. It was a fun filled occasion remembering the brothers and sisters of KSA. This celebration spreaded the message of unity. It helped students to work in unity. It also enabled students to understand the importance of secularism and integration. IPHS conducted an awareness discussion on “Importance of Self Grooming”. It emphasized on topics like Hair Care, Nail Care and importance of fluid intake. It was conducted from 12th to 17th September 2018 for Primary Section. For class V girls Puberty Hygiene was also discussed. For Boys talk about Personal Hygiene was done. As the FIFA Football World Cup being played in Russia spreads the football fever among the world population, students of IPHS Sports Club too were not left untouched by the spirit of football. IPHS conducted a penalty shootout competition for boys of classes VIII to XII on 28thJune 2018. It was a day filled with fervor and excitement experienced amidst thrills and cheers. The chief guest for the programme was our beloved Chairman Mr. Reji Skaria who inaugurated the competition. There were 8 teams consisting of six players each and represented the different countries with their bright attire of team jerseys. The competition entered into the spirit of the occasion and performed really well. Fun time with a staff team added to the enjoyment. Argentina, after beating Portugal emerged as the winner of the competition. To celebrate the Fourth International Yoga Day, IPHS, RAK organized a yoga presentation for IPHS community on 21st June 2018. The participants included parents, staff members and students. The session began with a welcome speech by the Vice Principal Dr. Annamma Mathew, followed by the ‘YOGA GEET’ by the students. This created a perfect, relaxing atmosphere for the yoga session. The Yoga instructors of the day were Mr. Atam Prakash and Mrs. Mamta Atam, Senior International Faculties from The Art of Living, RAK. The benefits of the yogic postures were narrated by the yoga teachers simultaneously as the participants performed various asanas with instructions. The breathing exercises and the main asanas were explained in detail and the participants were given training too. These asanas were taught to bring about a realization of the positive effects of performing yoga on health – both body and mind. This also led to a holistic feeling of health and well being among the students. It was a unique and over-whelming experience for all the participants. IPHS Students travelled to USA as part of an Educational Trip from 10th June 2018 to 20th June 2018. Main itenary was to attend 3 day NASA Camp. The tour visits was New York& Washington DC. New York the most populous city in the US. This mega city is the cultural, financial& media capital of US. Times Square, Iconic as the world’s heart & its crossroads is brightly illuminated hut of the Broadway Theatre District. The Statue of Liberty National Monument & Ellis Island Immigration Museum were visited. 9/11 Ground Zero Memorial was visited & they paid tribute to lives lost. The capital of the United States of America-Washington DC was the next visiting destination, US Capital Building, Washington Monument & Lincoln Memorial was the tourist landmarks visited. A guided city tour was enjoyed. Children visited Kennedy Space Centre Visitor Complex and attended Base Camp at ATX (Astronaut Training Experience).Children experienced face to face with an astronaut who walked in space, stood next to space Shuttle Atlantis and went as a bus tour of NASA to see launch pads& the vehicle Assembly Building. In the ATX Camp Students under was all new Astronaut Training Experience &Mars Base1 programs. At the Kennedy Space Visitor Complex, students caught glimpse of the ongoing quest for human travel Mars & beyond. Students came with American Icon Space Shuttle Atlantis. They experienced the shuttle launch. The students of classes V-XII organized a Charity Donation Campaign from 16th May to 11th June 2018 as a part of Islamic Activity during the holy month of Ramadan 2018-19.This initiative was undertaken as a part of UAE’s decision to observe the year as “Year of Zayed” and thus abiding the principles of H.H Sheikh Zayed Al Nahyan. The campaign started on 13th day of Ramadan and was wrapped up in two weeks. The students of class XI visited the other classes and requested students to donate money as part of the campaign. Many teachers also took the initiative to donate. The amount was collected and it was equally distributed among the cleaning members of the school. The event became a successful one by the grace and blessings of Allah. Dates are an integral part of the UAE’s history and heritage and the festival is a wonderful way to celebrate, understand and educate oneself about their cultural importance. IPHS celebrated the Dates Festival on Thursday, 7th June 2018. The students and teachers of classes KG – VIII took a keen interest and actively participated in the festival. The festival aimed at providing a unique opportunity for the students to understand the varieties of dates in the UAE. Class teachers along with the students made systematic arrangements in the corridors to display a wide variety of dates with flag labeling. It was a visual as well as a yummy treat for all. Class teachers trained a few representative students to give a brief description on the displayed items. The teachers of the UAE SST Department and Arabic Department supported the class teachers for the arrangements. It was a one of a unique experience for the all members of the IPHS family. SCIENCE CLUB celebrated World Environment Day with great zeal. Many activities such as Nipah Virus Awareness, Poster-Making, Speech, Slogan Writing, Essay Writing, Quiz, Power Point Presentation, Video clips etc. were held on the themes ‘SaveEarth’ and ‘Beat Plastic Pollution’. SOCIAL SCIENCE CLUB was abuzz with lot of activities that included Poster-making, Quiz, Distribution of green badges, Flash Mob, Power Point Presentation reflecting the themes ‘Save Earth’ and ‘Beat Plastic Pollution’. A flash mob by students of 10th grade surprised students near the playground. About twenty students from grade 10 participated to spread the message on the harmful effects of plastic and the undesirable impact it has on our environment. The club members distributed green badges to all students and staff in the school. The message was also spread through Audio Visual method wherein a small video presentation was shared after the assembly in each and every class room. Students made beautiful posters on the importance of saving our mother earth thus envisioning a greener environment for our future generations. NUMBERS CLUB organised a talk by Mr. Anu Thomas that dealt with the connection of nature with Maths. Ms. Shreya Mangesh of class X D presented a PPT about the application of Mathematics in Nature which was very informative and also organized. Master. Adwaith Premraj presented a PPT on ‘Application of Mathematics in Nature’. ECO CLUB: A Quiz Competition was conducted by the Eco Club on the topic World Environment Day and organised a seminar on “Climatic Change and Plastic Pollution”. ENGLISH DEPARTMENT: English Department came with a PPT related to the day that highlighted the slogan “Beat Plastic Pollution.” This enlightened the members on the hazards of using plastic. Students wrote poems related to the topic and added colourful drawings too. Later, all the members, along with their teachers took an oath to ban the use of plastic and make Our Mother Earth a safe plastic free planet. HINDI CLUB: Hindi Club organized speech, painting and drama for their members. The topic for drama was ‘Save Trees’ and for the speech the topic that was given was‘save our earth from plastic and the importance of clean earth’. MALAYALAM CLUB: Children have done speeches, poem recitations and debates on the basis of current environmental issues like deforestation, climate change and pollutions. Apart from these an innovative effort was taken from the girls students of Malayalam Club to conduct a symposium on the topic “The dying river- Bharathapuzha”. ARABIC CLUB: Group activity and speech on the topic ‘How to Save our Earth by recycling plastics and papers’ were planned and carried out on Environment Day. Charts were made as part of group activity. IT CLUB: On ‘World Environment Day’ Master. Ashik Leo Babu of Class IX B gave a presentation on E-Waste followed by a general discussion on the topic. Students came to the point that we have to use the electronic gadgets wisely in order to save our Mother Earth. FINE ARTS CLUB: In a very artistic way, the Art Club members observed Environment Day by decorating the corridors with beautiful lanterns. They also highlighted the importance of Hygiene by making cutouts of the palm and pasting images for ensuring a healthy life for all. SPORTS CLUB: The program began with a Seminar on ‘Sports Injuries’ by Mr. Sajesh Department of Physical Education. After that, the sports club members arranged the sports equipment room. The students participated showcasing the spirit of the occasion in a grand way with their whole-hearted support and dedication. UAE SST CLUB: conducted Poster Making activity on the topic ‘World Environment Day’. Teens India UAE organised Suaal-‘18 Ramadan Quiz for the Islam students of IPHS, RAK on 26th May 2018. It was conducted for the students of classes XII Boys and Girls. The topic was based on the ‘The Life of the Prophet Muhammad (PBUH) ‘. 49 students appeared the one hour duration closed book exam session. The objective was to enable the students to learn and explore the exemplary Life of the Probhet Muhammad (PBUH). It was conducted at the regional level across UAE. Results will be announced on 9th June 2018.The Certificates and Prizes will be issued later. The Student Council of IPHS, RAK took a noble initiative of collecting donations in form of food items and juices from the students and teachers of our school. This was in accordance to the observance of the holy month of Ramadan. The student and teacher community heartily participated in this drive and contributed remarkably to make it a grand success. The senior students lend a helping hand to pack the contributed items as Ramadan Kits. They also extended their helpful hands to distribute the Ramadan Kits to the construction site workers at five different locations in Al Nakheel, RAK on Thursday, 24th May 2018. All the students participated whole-heartedly for this noble cause. We extend our heartfelt gratitude to our dear Principal, Vice Principal, School Co-ordinator and all others who encouraged the students to play their role as compassionate human beings and responsible citizens for the world around us! A mock fire drill involving the students and teachers was conducted for Classes KG to XII on 20th May 2018, to create awareness among the students about the ways to respond and evacuate swiftly in an emergency situation. The evacuation operation began immediately at the sound of the fire alarm. The students were immediately evacuated from their classrooms and were asked to gather at the Emergency Assembly Area. Once all had evacuated the building and had assembled in the allotted area, they were advised not to panic in case of any disaster and were instructed to be with their teachers. Keeping all the safety measures in mind and carrying them out methodically, the entire building was successfully cleared within a span of three minutes. Meanwhile the Emergency Assembly Point In-charge teachers took the attendance and were tallied with the strength of the School. The Mock drill was carried out in the school to prepare students and staff for any such eventuality under the Fire Risk Reduction Programme. The Programme for International Student Assessment (PISA) is a triennial international survey which aims to evaluate education systems worldwide by testing the skills and knowledge of 15-year-old students, sponsored by the OECD. PISA was conducted at IPHS on 14th & 15th May 2018. 28 Female and 26 Male were sampled from IPHS to complete a 2 hour computer based test consisting of questions in Reading Literacy, Science Literacy and Mathematics Literacy. The PISA-based Test for Schools provides school-level estimates of performance and information about the learning environment and students’ attitudes gathered from student questionnaires. English teachers and non- English teachers took up in completing the teacher’s questionnaire. To learn Al-Quran with Tajweed and Tarteel, the etiquettes of reading, memorizing and listening Al-Quran and to know the importance of Al Quran in Muslim’s life and reward of reciting it. Al Quran is The Last Holy Book of Allah and it is the religious duty of a Muslim to recite, learn and listen to it. Students of IPHS participated in the competition held on 12th May 2018 with zeal and zest. They memorized a few verses of the Al Quran. They presented themselves as a dutiful Muslim. It enhanced their quality of reciting and their interest in Al Quran. Students made use of the opportunity to show it, they also learned to improve themselves in the recital of the holy verses. Drawing and Colouring Competition was conducted for the students of classes I to X on 8th May, 2018. Classes I & II were given the pictures and they coloured them. The students displayed their artistic skills. For classes V & VI topics were related to UAE. They used colours to express their creativity. The neatness and precision of their work was appreciated by everyone. Doodle Art Competition was conducted for the classes VII to X. The best three drawings from each class were selected and handed over to the art teachers Mrs. Priya Montoo & Mrs. Vrinda for the final judgement. The art teacher selected the best entries and winners were declared on the 5 point grading system. They will be awarded with certificates during assembly. This competition gave an opportunity to the students to show their talent. RDS Publishing’s – Little Genius Magazine team conducted Drawing Competition for classes IV & V on the theme Mother’s Day .The winners will be given attractive prizes. Best creatives will be published in the Little Genious Magazine issues. IPHS celebrated its 32nd Birthday on Sunday, 6th May 2018.A special assembly was conducted by the students of X C. After the usual etiquettes of an assembly, Head Boy Master Jibin Joseph delivered a speech on Founder’s Day. Principal Mrs. Anubha Nijhawan addressed the assembly by pointing out 6th May 2018 as the Birth Centenary of the Legendary Leader of UAE Sheikh Zayed. IPHS felicitated those dedicated teachers of academic year 2017-18 for their 100% attendance. The melodious birthday song of the students of class VIII was sweet and marvelous.KG Supervisor, Mrs. Sandra Edward Fernandes evoked the memories of 32 years of fabulous journey of IPHS through a Big Birthday Card presented by the tiny tots of Kindergarten. Birthday Cake was cut by the Principal together with the Supervisors and HODs of the school. Happiness Ambassador Mrs. Preethi Anoop with her full team members of classes V to XII brought about the event “Laughter is the Best Medicine” completely conquered the mind of each and everyone present over there. An Elocution Competition, the art of Public Speaking was conducted on 5th May, 2018 for classes III-XII. The participants were divided into four categories. There were three Judges for three different languages English, Malayalam and Hindi and their decision was final. The winners were awarded certificates. An awareness class on bullying was conducted for the student council members on 1st May 2018. Each student played an important role in spreading awareness and in preventing the incident. Students were made aware on types of bullying and procedure to escalate any incident. Each member appointed as Anti-Bullying Squad and were coached about their role in the school. Preventing bullying calls for a commitment to creating a safe environment where children can thrive happily, as a healthy community and look forward for a bright future. IPHS organized a yearly health checkup for the classes I, V and IX on 1st to 4th May 2018. IPHS organized a three days ‘Book Fair’ from 26th April to 29th April 2018 in association with Al Warjd General Trading LLC. In the present world, importance of reading has become very important and owing a book is a dream come true for all the book lovers. On display were a wide range of books from Indian & International Publishers (English and Arabic). The books were age specific, curriculum related, exciting & enriching. The children enjoyed the fair and picked books varying from science to spooky stories; from puzzles to poems; and from fiction to facts. The teachers equally helped the children in selecting the books. The Book Fair was open to parents from afternoon till evening. They utilized this fair in purchasing the right book for their Children. Before the holy month of Ramadan begins, UAE residents celebrate the day of Hag Al Laila on Thursday, 26th April 2018 as a precursor to the holy month. Hag Al Laila falls on 15th day of the month of Sha’aban. Hag Al Laila is one of the many traditions inherited by the Emiratis from their ancestors. As a part of it, students of IPHS collected the sweets from Principal Mrs. Anubha Nijhawan and the Section Supervisors and distributed sweets to the guests, staff and to the students. It was a day filled with happiness of giving all around. The Investiture Ceremony on 25th April 2018 was a memorable day for the leaders of IPHS. The leaders were honoured with their respective designation. Mr. Jibin Joseph and Ms. Shefin Siby were declared as the Head Boy and the Head Girl. The leaders of various houses were honoured by the respective teachers–in–charge. The elected prefects of grades V to XII were given badges by their respective class teachers. It was an occasion to honour the newly joined Girl Guides members too. The oath taking ceremony for all the leaders marked as the reassurance of their duties and responsibilities. The ceremony was concluded with the speech by the Head Girl Ms. Shefin Siby and the address by the School Principal Mrs. Anubha Nijhawan. IPHS, RAK conducted ‘Creative Writing Competitions in English on Tuesday, 24th April 2018. Competitions such as Story Writing, Poem Writing, and Essay Writing were conducted during the 8th & 9th period, for the students of classes VI to XI. The competition for the students of class VI was Story Writing. They were asked to write a story based on ‘It is his / her attitude that changes everything there, she continued…”. For the students of classes VII to X, a choice was given as they would either write a poem on ‘The Legendary Leader of UAE’ or a story on “Be Humble and Polite, do not hurt any mind even for fun, like mantra, the words echoed in the heart…”.Essay Writing Competition was conducted for students of Class XI on the topic “Role of Youth in Curbing criminalization and existing social Evils’. The word limit of every competition was a foolscap paper. The winners will be honoured with certificates during their assembly. Earth Day celebration at IPHS was held on 22nd April, 2018 at the school premises. It was a great day to showcase environmental education, highlight efforts to reduce the usage of water, plastics etc in the school and engage the whole student community in making a difference. An awareness session was also organized for the students.The special assembly conducted by students of grade 9 to 12 was another highlight of the day . All students took the environment pledge promising to do their best to protect the environment. Ms. Afreena of class 12B spoke about the importance of Earth Day. Science Club and Eco Club promised to take responsibility to reach out and protect our planet and contribute to the community we live in, thus making a difference to the world around us. During the day a “Switch Off Initiative” to save energy was carried out in order to consolidate this promise. This brought awareness about issues of global warming, through the reduction in the consumption of electricity. On Earth Day students got an opportunity to examine their relationships with the environment and to think about how their lifestyles affect the world around them. Students of different grades engaged in activities like Poster / Chart making. They spread the message by pasting their works in various display boards in school premises. A PowerPoint Presentation about the formation of earth and its environment, factors responsible for pollution of Hydrosphere and Atmosphere and measures to mitigate the ill effects of human intervention, was made by the above resource persons. As a part of World Heritage Day, on 18th April 2018, Students of class V were taken to Al Haboos Arts & Folks Society, Ras Al Khaimah. It was organised by the UAE Social Studies department under the supervision of Primary Section Supervisor Mrs. Shammy Santhosh. They were accompanied by their subject teachers. It helped them to understand the life of Ancient Arabs, their Culture and Traditions. The incharge staff of the society explained the importance of World Heritage Day to the students and created awareness about UAE’s Culture. A small presentation related to ‘World Heritage Day’ was conducted on the Thematic Assembly. Students showed placards having pictures of heritage sites from both UAE and India during the presentation. Students of Middle Section prepared a picture based chart on this day. The formation of the student council for the academic year 2018-19 was done by various procedures. The initial procedure or step one was the election for the class prefects from Grade V –XII on 12th April 2018.The elected members of each class assembled together on 19th April 2018 to select the Head Boy and the Head Girl. Both the procedures were done by the common election procedures including ballot paper and polling booth. The leaders were later addressed by the school Principal Mrs. Anubha Nijhawan, who asserted the duties of leaders. The students of IPHS, RAK brought laurels to the school by their outstanding performance in the National Mathematics Olympiad Contest: 2017 – ’18. 34 students of Primary & Senior Section students were awarded with medals and certificates for securing 90% and above marks in the contest. Master. Shuban Mukesh Pardeshi of class-I scored 100% in the contest. Special certificate and a shield will be awarded to him by the AISMTA. Congratulations to all the winners for their meritorious performance. We wish our students all the very best to continue their praiseworthy performances in the future events too. IPHS gave a warm welcome to students to herald the new academic session 2018-19 on Sunday, 8th April 2018. The school was decorated with balloons, flowers and coloured papers to create an atmosphere of joy and happiness. The entire IPHS campus radiated with a sense of love, care and oneness – a united family. Every member of the IPHS family were busy meeting and greeting each other. Their eyes and voices spoke volumes – just about to set out on a new journey, a new beginning. Fresher’s were welcomed with open arms by their peers and the entire IPHS community. KG2 tiny tots were greeted with sweets and stationeries as giving is a part of the ideology and one of the guiding principles to follow propagated by the great legendary ruler and father of the nation – His Highness Sheikh Zayed whose great vision provided the expatriates a root here in the UAE. The recital of Holy Quran, in the background added a spiritual dimension to the atmosphere during the morning hours, invoking blessings from the almighty towards a blessed and fruitful academic year 2018- 2019.